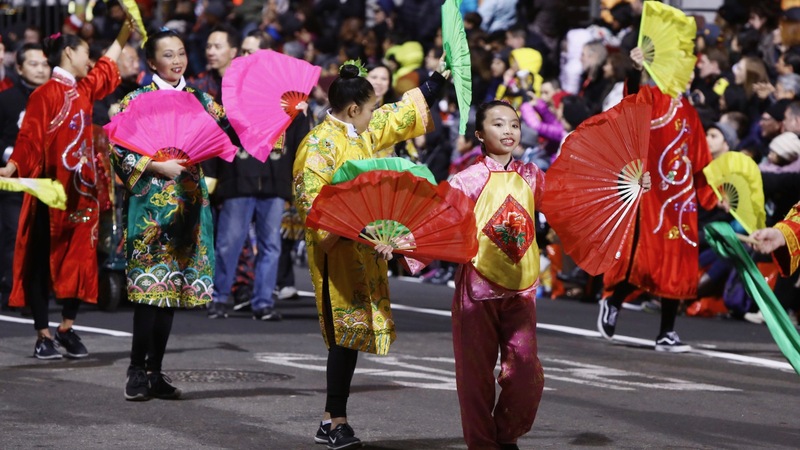 Comcast’s California Region today announced that it has formed a long-term partnership with the San Francisco Chinese Chamber of Commerce and will be a procession-level sponsor of the 2019 Chinese New Year Festival & Parade. This marks the first Comcast sponsorship of the festival, which takes place Saturday, February 23. To commemorate the year of the Earth Pig, Comcast’s parade float will reflect the traits of Connecting and Entertaining, which are at the heart of what Comcast does every day – through gigabit speed Xfinity broadband internet service, the breakthrough Xfinity X1 video platform, innovative solutions from Comcast Business that go beyond fast, and award winning NBCUniversal film and TV content. Joining the Comcast procession will be the KIPP College Prep San Francisco Marching Band and the San Francisco Police Lion Dance Group. Comcast also announced that it will collaborate with singer and YouTube star Jason Chen and model, dancer and actress Lucia Liu, an Asian-American celebrity “power couple.” The two will participate alongside Comcast in various events during the Chinese Chamber’s New Year festivities. They will be special guests of Comcast at the Miss Chinatown USA Pageant, be featured on the Comcast float and host another appearance at the Comcast booth during the Community Fair on Feb. 23, from 9:00 a.m. to 4:30 p.m. In addition, Comcast will partner with Asian-American Bay Area blogger and digital content creator Virginia Duan from https://comca.st/2GDTbRS to be Comcast’s guest blogger and content creator for the 2019 Chinese New Year Festival & Parade festivities. Virginia will create original content for Comcast’s California blog and https://comca.st/2GDTbRS and for @ComcastCA on Twitter and @theMandarinmama on Twitter and Instagram. Asian-Americans represent one of the biggest and fastest growing segments of Comcast’s customer base in California. Comcast has consistently brought innovative products, services, content and other unique experiences to Asian-American audiences in California — from an extensive array of international channels and in-language programming on X1, to offering unlimited long distance calling to China. Comcast also has an ongoing partnership with Self-Help for the Elderly, which has served seniors in San Francisco’s Chinatown community since 1966. To further celebrate Chinese New Year, Xfinity TV customers can also now access thousands of hours of Asian and Asian American entertainment in one curated destination via Xfinity On Demand. Xfinity X1 customers can also browse and navigate the experience with the X1 Voice Remote by saying “Asian American” and for the first time, online content from streaming services KOCOWA, Hi-YAH!, and Amazon Prime Video are also included.